Hand-fasting wedding culture is a very old marriage ritual that that is making a comeback among the contemporary couples. 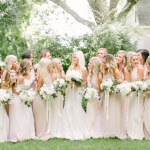 This wedding culture involves typing together the hands of the bride and groom and using a decorative ribbon or cord to hold their hands together. This is a sign of their marital union indicating that their marriage has joined them together as one. The ritual is frequently conducted by the wedding celebrant who officiates at the wedding service. The hand-fasting wedding culture may feel bizarre to some people but it is an ancient tradition that has been practiced by many and which in the recent time is resurfacing again. 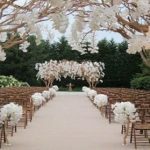 We have provided important facts about the ritual in this article to enable you decide if you’d love to incorporate it into your wedding. What is the origin of the hand-fasting wedding culture? Hand-fasting wedding culture is a very ancient culture and its origin is not definitive. It has been a tradition for thousands of years and dates back to Celtic and Druid ceremonies. It appears the common wedding slang, tying the knot originated from this ancient tradition. 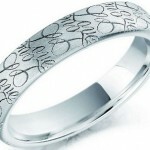 In Scotland, a piece of check was traditionally used for the hand-fasting wedding culture. However, it is used to frequently as a sign of betrothal instead of the marriage ceremony itself. Hand-fasting has become trendy with couples seeking for a more intimate and custom-made celebration. What is involved in hand-fasting wedding culture? The hand-fasting wedding culture involves the bride and the groom holding hands together so that the wrists or their pulse points touch each other. A length of decorative ribbon or cord is then used to fasten their wrists together. In a number of wedding ceremonies, the ribbon is looped six times and the bride and the groom make a vow or declaration to each other at each loop. 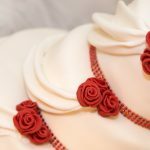 The final tie is usually made fairly loose to allow the couple opportunity to keep the knotted ribbon as a great symbol of their marriage. The ribbon itself is frequently made up of two pieces of material with one representing the bride and the other representing the groom. Sometimes it is made up of ribbons of different color strands to represent significant parts of their relationship. Is it lawful to practice the hand-fasting wedding culture? 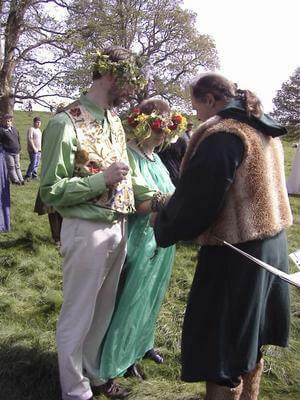 The hand-fasting wedding culture is allowed legally but in the UK the ceremony of hand-fasting by itself is not regarded as a wedding. Civil wedding ceremonies need to be free of religious content by law. Thus, hand-fasting wedding ceremony cannot be incorporated into your wedding if you are doing religious wedding. However, there are a few considerate marriage registrars that will allow you the opportunity to have your hand-fasting wedding culture in a different room completely separate from the legal wedding service. The Church of England weddings incorporates periods when the stole of the officiating priest is tied around the hands of the bride and the groom, but churches commonly won’t permit full celebration of the hand-fasting wedding culture. 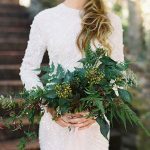 The simplest way to do complete full hand-fasting wedding ritual and a marriage that is recognized legally is to have a small civil wedding ceremony. This has to be different from the humanist or celebrant-led service which incorporates hand-fasting ritual. You can conduct a very small civil ceremony with only two witnesses and at a cost-effective prize at your local registry office. The hand-fasting ceremony will not be the part of the celebration that is legally binding but it will allow you some flexibility regarding what ritual you want to incorporate into your wedding. In Scotland, the humanist wedding ceremonies are legally binding. Thus, it is very easy to incorporate the hand-fasting ceremony as part of your wedding celebration. The hand-fasting wedding ritual is not a legal ceremony and thus can be carried out by anybody. The ritual is not connected to any particular region and so can be observed by people from any religion including atheist. Many couples choose to do hand-fasting to reflect physically who they are as a couple and to incorporate a really intimate feature into their wedding day. Others like to acknowledge an ancient tradition that has been performed by couples as far as anyone can remember.